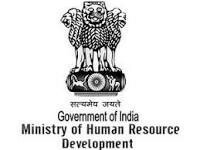 The Ministry of Human Resource Development (MHRD) has confirmed its entry in the Programme for International Student Assessment (PISA), to be conducted in 2021. The Ministry signed an agreement with the Organisation for Economic Cooperation Development (OECD) to confirm its participation. PISA, introduced in 2000 by OECD, is conducted once in three years. The assessment helps to find the learning levels of 15-year-olds in reading, mathematics and science. India was not a part of PISA in 2012 and 2015, due to its poor performance in 2009, during which two Indian states were ranked 72nd and 73rd out of the 74 participating countries. The Ministry missed the deadline in 2018 and hence couldn’t participate. 2021 will have nearly 2000 to 3000 students from Chandigarh representing the country. The city has been chosen due to its infrastructure and the capability of the students.